FilmGate Interactive is an Interactive Media Festival, living at the intersection of storytelling and new technology. We redefine the way we conceive and share our stories, together. For one week we celebrate visual storytellers and supporting industries through screenings, exhibits, creative labs, master classes, immersive art installations, music and live events. FilmGate is the only Conference in the US to focus solely on interactive and immersive content. We have hosted 35 workshops and labs, showcased the works of 100+ creatives, and have completed over 80 creative projects during our tenure. FilmGate Interactive is the place to witness the technology of today shaping the stories of tomorrow. A sample of projects presented at this year's Festival. The 6th Edition of the FilmGate Interactive Media Festival, took place from November 30th through December 6th, 2018 in Miami Florida. Here is just a bit of what you missed (or were lucky to be a part of)! (French National Institute of Audiovisual) where he was responsible for the organization’s digital transformation and was one of the drivers of the www.ina.fr website. In parallel he raises funds and launches the start-up Eyesworld, a video and community platform dedicated to travel and discovery of the world. In 2013, he became Head of Digital Development at the Forum des images, which was looking to initiate its digital transformation and organize content distribution. In 2016 he launched the first Festival dedicated to Virtual reality “Paris Virtual” which became NewImages following the association of other digital events and the expansion of its offer. Vivian is the co-director/co-founder of O Cinema, an independent art house cinema committed to the nurturing, supporting and presentation of cinematic storytelling and its diversity, on, off and behind the screen. Her other projects have included lab6 (aka Experimental Art Lab), Incub8, NSFW Miami, FatLip and META Miami. Voyelle has been engaged in linear, digital and interactive content for the last 18 years with production companies, creative studios, commercial and public broadcasters, between the US, Canada and France. She last spent 10 years at France télévisions, first as deputy head of children’s programs, in charge of coproductions and digital strategy, then as the head of digital storytelling and transmedia, in charge of original web creation, as well as transmedia developments for all France télévisions branches. Voyelle started her own consulting company two years ago, whose purpose is to accompany producers, authors and talents with digital creative content based strategies, with a focus on international projects related to interactive media, digital and immersive storytelling. Dan Lehrich is Senior Director of Production for Magic Leap Studios, where he leads multiple teams in the development of Mixed Reality experiences. He has worked on AAA video games, chart-topping mobile apps, and complex web platforms, and held senior positions in Product, Creative, and Audio. Past roles include Senior Producer overseeing the concept and development of the Disney Infinity franchise on mobile, Creative Director in Activision’s Guitar Hero business imagining the future of music gaming, and Audio Director on a number of movie and television based console and handheld games. Dan joined Magic Leap in 2016, where he oversaw the production of launch projects “Create” and “Tonandi”, and continues to manage multiple teams and projects while driving collaboration between creative and technical teams at the company. As Chief Creative Officer of VICE's creative agency Virtue, Cameron helps brands and bands prepare for the apocalypse, find purpose and shape culture. With 26 offices around the world creating more than 6000 pieces of content a week, his ability to spot, capture, and unleash lightning in a bottle is of blackbelt status. Having worked with some of the greatest minds in both culture and adland, Cameron's work is smart, self-aware, and always served with style. Previously Executive Creative Director at Universal Music Group, Cameron launched the label's in-house agency network across APAC and EMEA, applying the same storytelling principles to Doritos and Delta as a one would to Drake as Def Leppard. With 15 years activating at the bleeding edge of advertising and entertainment, Cameron has worked with artists like Bieber, Weezer, Jurassic 5, Kanye, Kid Cudi and The Killers, brands like lululemon, Levis, Nike, Google, MGM, partners like Live Nation, Arsenal FC, AEG, NME, Kerrang and Coachella, at places like Mambo, Atlantic, Sony, Villain, Virtue and VICE Media. As the most important film in cinema history, Point Break influenced culture far beyond Hollywood. It challenged masculine ideals, invited shrouded subcultures into the mainstream, and blurred the lines of good and evil in ways the world had never seen. Point Break is as punk rock as it is philosophical. Without it, there would be no Ace Ventura, Fast & The Furious or Moonlight. Yet its legacy is seldom celebrated for the progressive paths it paved and the storytelling masterclass it offers up to future filmmakers. 27 years on, join Cameron Farrelly as he dismantles this cult classic to reveal five timeless lessons hidden within, and how they unintentionally helped Miami become so sociologically significant in media and entertainment. Joanna Popper is a Hollywood and Silicon Valley media executive. She recently became HP’s Global Head of Virtual Reality for Location Based Entertainment. Prior she was EVP of Media & Marketing at Singularity University and VP Marketing at NBCUniversal. Joanna developed a TV show partnership with NBC and Singularity University for a new TV series on technology and innovation. Joanna was selected as “50 Women Can Change the World in Media and Entertainment,” “Top Women in Digital: Game Changers,” “101 Women Leading the VR Industry” and is on the Coalition for the Women in XR Fund. Joanna lived in Miami for 15 years and misses beach-living. Nelly Gocheva is the Global Editorial Director of T Brand Studio, The New York Times’s in-house creative agency where she oversees multimedia content and brand marketing projects across the EMEA and APAC regions. She joined the NYT from Monocle where she was Toronto Bureau Chief and the founding editor of The Monocle Travel Guide Series. Additionally, Nelly's work has appeared in The Independent, SkyNews, Glass Magazine and J. Walter Thompson, among others. Brands and organizations she's worked with on consultancy and content projects include Nike, UBS, Credit Suisse, LVMH, Cartier, Samsung, Philips, Bosch, Hyundai, BMW, Turkish Airlines, Korean Air, the City of Rio de Janeiro, the Philippines Tourism Board. A seasoned conference speaker and presenter, she's also a guest lecturer at The University of Toronto, London’s City University and The Cardiff School of Journalism. Mike Knowlton is the co-founder of StoryCode, a vibrant cross-discipline global community of innovative creators. StoryCode curates immersive media exhibitions, innovation workshops, and Story Hackathons. As a Creative Technologist he founded and led a number of tech companies including user-interface design firm Nascent State, digital agency BASIK and next-gen storytelling studio Murmur. At Murmur, Knowlton created the first-ever “social film” and led large multidisciplinary teams developing complex software for brands including Bath & Body Works, Gucci, IBM, New York Life, MoMA, Philosophy, Tiffany & Co, and Victoria's Secret. At Campfire, Knowlton focuses on creating new business opportunities and ensuring project success. He regularly speaks at leading festivals and conferences including New York Film Festival, Savannah Film Festival, StoryWorld, SXSW and Tribeca Film Festival. 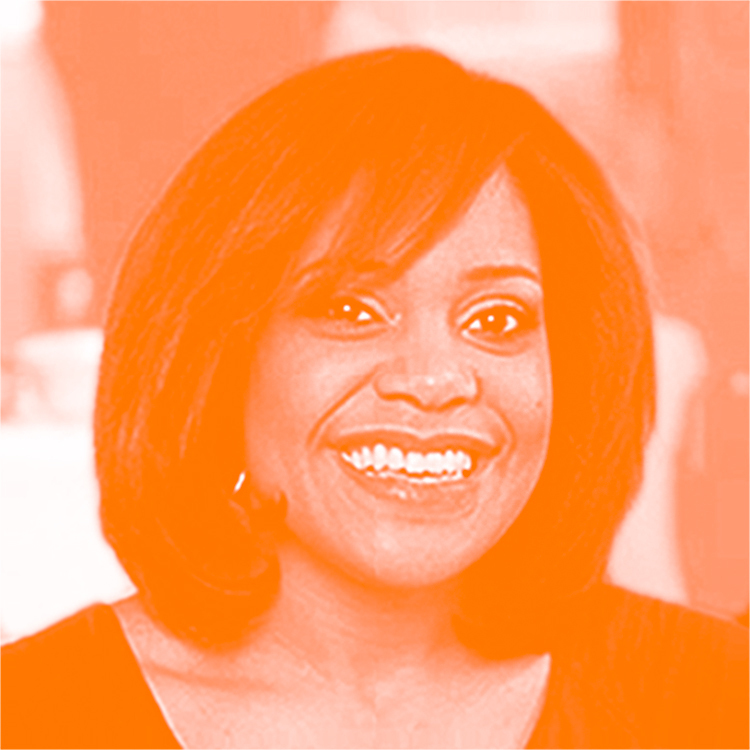 Denise Burrell-Stinson is the Head of Storytelling at WP BrandStudio at The Washington Post. Before that, she was the culture editor at T Brand Studio at The New York Times. She's also held positions at Condé Nast and MTV Networks. She has been anthologized and published widely, with credits that include the Emerson Review and African-American National Biography. She was a New York Foundation for the Arts Fiction Fellow in 2012, and holds an MFA in creative writing from Columbia University as well as a BA in politics from Princeton. Armando Turco is the General Manager of Vox Creative at Vox Media. He leads the creative excellence, growth, and go-to-market strategy of the company's rapidly growing content businesses. Vox Creative is also home to the team that leads creative strategy and production for all of Vox Media’s advertising partners. Since joining Vox Media in January 2017, Armando has nearly doubled the Vox Creative team and launched its offshoot - The Explainer Studio. In the last year, they have successfully overseen the production of more than 75 campaigns for clients like Spotify, the NFL, Volvo, Capital One, Google and more. Armando has nearly 20 years experience in the advertising and marketing industry, working in an executive capacity at world-class agencies such as Redscout, BBH and McCann Erickson. He resides in NYC with his husband and his rescue mutt, Andre Johnson. Savannah Niles is a Design Lead within User Experience at Magic Leap, leading cross-functional teams to research and design input, interaction and social experiences for a spatial computing operating system, the Lumin OS. She graduated in 2015 from the Viral Communications group at the MIT Media Lab, where she researched mobile diagnostics, maternal health technology, and video journalism for wearable and ambient displays. Savannah has designed interactive experiences with Twitter, Walt Disney Imagineering, and Bloomberg. She's exhibited work at the Austin Museum of Art and the Dallas Pavilion Project published in conjunction with the 2013 Venice Biennale, and she was a juror for the 2017 SIGGRAPH Art Papers program. She's based in Miami. McNitt is a writer and director. She is a 2018 Emmy® Awards Finalist and the recipient of the VR Grand Prize at The Venice Film Festival. She explores the cosmic collision of science and art. From astronauts to astrophysicists, McNitt works alongside scientists to tell stories about the human connection to the cosmos. Her films and VR experiences have appeared at festivals including Sundance, SXSW, AFI Fest, Cannes NEXT, Tribeca, Telluride, and The Venice Film Festival. She’s a two time Intel Science Fair winner, Alfred P. Sloan grant recipient, and winner of the 2018 Gold Screen Young Director's Award at Cannes Lions. McNitt is the creator of SPHERES an immersive Virtual Reality journey through the songs of the Universe. Executive Produced by Darren Aronofsky and Ari Handel, SPHERES stars Millie Bobby Brown (Stranger Things), Jessica Chastain (Tree of Life, Interstellar), and Patti Smith as the voices of the cosmos. SPHERES made history as the world's first acquisition of a VR experience out of the Sundance Film Festival. Sally Reynolds is a Designer at global creative technology and VFX studio The Mill. As a multi-disciplinary artist with a rich design background, Sally’s portfolio of work spans experiential, MR, AR and traditional linear projects. Some of her most notable creative highlights include designing interactive filters and graphics for Facebook’s AR studio and Magic Leap’s newly released spacial computing headset. Her love for science and figurative art influence her work to be thoughtful, emotive and weave in a purposeful intention wherever possible. Tanya Bravo is the founder and Artistic Director of Juggerknot Theatre Company, a company dedicated to the cross pollination of artists between Miami and New York City. For over twenty years, and with over forty shows under her belt, Tanya’s reach has included collaborations with the HBO International Latino Festival, Heineken USA, Leah Arts District, MySpace, Remezcla, and The South Beach Comedy Festival, among others. Most recently, she produced the critically acclaimed show Miami Motel Stories, a Knight Arts Challenge recipient. She works daily to push boundaries, develop and showcase innovative work, and reach broader audiences, always elevating both artist and spectator, never underestimating the power of art, and the belief that it can change the world. With Over 20 years in the industry, Adrian accolades ranger from having earned multiple Platinum awards and Latin Grammy nominations, endorsements from audio brands like Waves Audio and Phoenix Audio, to recording and/or mixing projects for artists and labels like CNCO, Ha*Ash, Roberto Carlos, Alex Sensation, Danny Ocean, Kany Garcia, Sony Music, Universal, and Warner. Adrian’s work has also branched into audio post for videos, movies and video game companies such as Paramount Pictures, SyFy Channel, NBC, Universal Pictures, E1 Entertainment, 2KGames, Ad Agencies like Leo Burnett, Alma, Deutch LA, The Axis, Edelman as well as composing music for brands like: Disney, Sprint, Toyota, BurgerKing to name a few. Felipe Aguilar is an award winning artist, creating emotionally engaging projects that explore the realm between fiction and reality, using photography, film, and emerging technologies like AR and VR. His commissions include projects for The Government of Colombian, USAID, and NatGeo, and his independent projects have been present at festivals like the Berlinale, the Cannes Short Film Corner, Imagine Science Films, and FilmGate Interactive. Currently working in the US and Colombia. Born in 1985, lives and works in Paris. Balthazar Auxietre is a graduate of Le Fresnoy studio national des arts contemporains, after a course in the Ecole Nationale Supérieure des Arts Décoratifs. Currently, he is creative director at Innerspace, a virtual reality studio he co-founded in 2014. Since, he has produced several narrative-driven experiences shipped with the launch of all major VR headsets. Balthazar is one of the world’s most recognized creator in the field of VR and his piece Firebird: La Péri has received numerous awards for both innovation and artistic direction. Hayoun Kwon (KR), born in 1981, is a multimedia artist and cofounder of Innerspace VR. She graduated from the Fresnoy – Studio national des Arts contemporains and she lives and works in France and in Korea. Her film Lack of evidence (2011) and Village Model (2014) has been awarded several times and shown at a number of film festivals. The reflection on identity and borders is central to her previous works. She has focused more specifically on the construction of historical and individual memory and their ambivalent relationship to reality and fiction. Steve Coulson is an Emmy-award winning creative visionary, who has spent over ten years creating immersive participatory programs that launch new products and entertainment franchises. He specializes in developing physical, digital and social experiences that unite passionate fans and inspire them to evangelism, helping propel his clients’ properties into mainstream success. A frequent collaborator with HBO, (True Blood, Game of Thrones, The Leftovers), his work on the Westworld immersive experience led to a Creative Arts Emmy in 2017. Steve has also partnered for some of the most successful entertainment and luxury brands, including USA Networks, Netflix, Hulu, Amazon, Harley-Davidson, Diageo, Infiniti and National Geographic. His Resistance Radio project for Amazon’s The Man In The High Castle won five Cannes Lions, two Grand Clios and was also Emmy nominated. Kim Grinfeder is an award winning creative technologist the Founder and Director of the Interactive Media Program at the University of Miami. His work explores new media tech across the spectrum including an immersive storytelling, UI Design, branching narratives & emerging communication technologies. His current research and creative work interests are in producing 360º films, immersive storytelling, and non-linear narratives. He co-founded VR lab at the University of Miami and his students have won multiple awards. Lindsay is an associate professor at the University of Miami School of Communication and Knight Chair of Interactive Media. He is Vice President for the Global Game Jam™ and Vice President of the Higher Education Video Game Alliance. His is work has received awards and recognition from the Games for Change Festival, the Digital Diversity Network, the Association of Computing Machinery's digital arts community, Black Enterprise and others. He has published more than 50 papers, articles and book chapters on games since 2009. His creative work has been selected for showcase internationally including New York, Paris, Sao Paolo, Singapore, Chicago, Vancouver, Istanbul, and others. Clay Ewing is an associate professor at the University of Miami. He is an award winning creative technologist with a focus on serious games, implementing game mechanics into real world applications, and social justice. Professor Ewing’s projects have tackled issues such as vector borne diseases, the cost of health care, cancer, social safety nets and labor practices. His work has been exhibited around the world in festivals and conferences, including ISEA, IndieCade, the Serious Games Showcase and Challenge and Meaningful Play. Clay has worked with numerous non-profits including Red Cross Red Crescent, Open Society Foundations, ROC United, Oxfam, and the AIDS & Rights Alliance for Southern Africa. His projects have been covered by The Huffington Post, NPR, Forbes, and The Consumerist. He also is the creator of Queso, an open source learning management for gamifying the classroom. 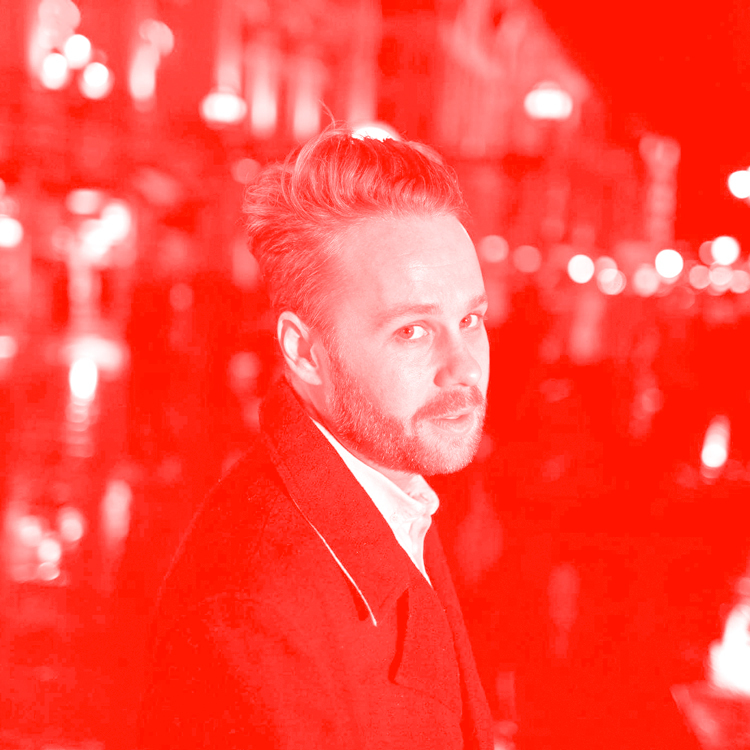 Julien Aubert founded and runs Bigger Than Fiction in Paris since 2011. As a digital agency, BTF has been inventing with major French producers and broadcasters new strategies to gather the audience of a TV program on Social Media. The production company has sold breakthrough social media formats. SUMMER (ARTE) is the first Instagram comic series. A drama-comedy about love and new experiences in 60 days and 60 episodes. RAP FIGHTER (Studio 4) is a 7 * 4 minutes Youtube rap battle tournament where real rappers play characters from animated movies. INSTRAVIATA (ARTE Concert) tells the opera La Traviata in a animated comics series and the life of her lead-singer in the first Stories-documentary. Julien has graduated an MBA Creativity & Innovation at Federation University, Australia. PhD and MA in Communication, University of Southern California; BA in Physics, Haverford College. Benjamin Stokes is a civic media scholar and game designer. He is an Assistant Professor in the School of Communication, and at the AU Game Lab. Previously, he co-founded Games for Change, the movement hub for advancing social change with games. At the MacArthur Foundation prior to academia, Benjamin was a program officer in their portfolio on Digital Media and Learning. Benjamin has also worked at the UC Berkeley School of Information as a postdoctoral scholar in data science. Design experience in civil society includes leading teams at NetAid/Mercy Corps in global citizenship education. At media-tech startup WhereBy.Us, the creators of local publications like Miami’s The New Tropic, Seattle’s The Evergrey, Portland's Bridgeliner, and Orlando's Pulptown, he is the Chief Business Officer focused on growing their revenue model across the country working with local stakeholders and brands to create more inclusive and connected cities. Before joining the team at WhereBy.Us, he spent 8 years at 1800 Flowers.com, growing their corporate partnerships and digital gifting business, across 5 different roles in the organization centered around innovation. On the Community side, Chris is a founding partner of Social Venture Partners Miami, a non-profit fund focused on strategic investments in Miami's social impact organizations. He also lends his time as a mentor and advisor at the Watson Institute, Binghamton University, Audubon House, any entrepreneurs that express an interest in having a positive social impact. Chris has an MBA and BS from Binghamton University and resides in Miami with his wife, Randi Wolfson along with his vibrant collection of hawaiian shirts. Heather is a Swiss Army knife creative with an atypical career path and no proper art school degree. She began her career doing murals, illustration, and branding for clients in the Chicago culinary industry. From there, she went on to design and illustration at Terrapin, working with clients including Lanvin, Saint Laurent, Opening Ceremony, Vanity Fair, Maison Kitsune, Marc Jacobs, Greats, and Tory Burch. She then went on to Moleskine and (RED) as a design/creative hybrid, working with partners including Apple, Starbucks, VICE, and Bank of America. Now at Virtue, the creative agency by VICE, she splits her time as the Head of Design and a Group Creative Director. She believes in doing work that contributes meaningfully to the lives of audiences, and that we have a duty in this industry to take every opportunity to contribute to and even shift culture. Mike Cantalupo is a Multimedia Personality, Host, and Producer. Mike began his professional hosting career at 19 years old, hosting weekly animal adoption segments on NBC's "New York Live". From there, Mike moved over to digital media. In his two years as the YouTube Content Director and Host at TotalProSports, Mike amassed more than 50 million unique viewers, and 500,000 new subscribers for the company. Now, using his unique prospective and knowledge of the digital space, Mike has begun Signature Cantaloupe, a Miami based production company with an initial goal of engaging the modern viewer with short form, interactive and meaningful digital content. Priya Sircar joined Knight Foundation in October 2018. She is a nonprofit administrator and practicing artist with experience in both fundraising and grantmaking. As director/arts at Knight Foundation, she develops strategies for art investments in cities across the United States where Knight has offices. She joined Knight from Lord Cultural Resources, where she specialized in strategic and cultural planning for arts, cultural, and heritage organizations and communities in the United States and abroad. A principal consultant for Lord, she led community engagement and spearheaded Lord’s work with parks, gardens and other urban public spaces, as well as its film and media projects. With a career path that has taken her from bond trading on Wall Street to developing properties along some of Miami's trendiest streets, Avra Jain has earned a reputation for identifying the next it neighborhood. The recipient of three Sundance Film Awards for the documentary Dark Days, this industrial engineering graduate from Purdue University develops projects based around two of her favorite pursuits: art and architecture. To date, that vision has resulted in 26 boutique projects that range from converting a 100,000 square foot warehouse to luxury loft condominiums in New York's Tribeca neighborhood to the remake of The Vagabond, from Motel to Hotel on Biscayne Boulevard. When Avra is not re-imagining skylines, she spends time with her 10-year-old daughter Alexandra, who she affectionately refers to as "my greatest accomplishment." Diliana Alexander is the Executive Director FilmGate Miami, an organization which empowers Florida's visual storytellers and delivers a range of multidisciplinary programs in film, digital media, interactive and immersive content, virtual and augmented reality. She is the Program Director of the FilmGate Interactive Media Festival and the founder of the Downtown Media Center. She is especially interested in the convergence of art, science and technology. Diliana began her career in Canada as a producer, where she worked for CBC, HGTV, the Learning Channel and Showtime. She is a guest lecturer at Broward College and Florida International University. Currently, she is producing a six-part series for Netflix, Stiltsville VR, a doc/game hybrid in preservation of the iconic Stiltsville houses in Biscayne Bay and directing the feature film NARC, based on the young adult novel written by Florida Book Award winning author, Crissa Jean Chappell. As AtlasV’s CEO, but also as a Panelist in several VR conferences (Tribeca Film Festival, IFP Film week, Miami Filmgate, Mutek...) and a lecturer at MIT and Brooklyn College, Fred’s work exemplifies the expanding bridge between storytelling and technology. How we can continue to think about the integration of these new platforms as we build audiences for entertainment, brands and institutions. Before co-founding Atlas V, Fred started a consulting firm to support creative pieces in VR with marketing/distribution strategies, Shuttershades.io. He is also strategic advisor of several immersive technology companies. Formerly Partner, Member of Executive committee of WNP, and CEO of WNP Digital, one of the top-3 independent digital agencies in France. Fred joined WNP when it acquired a digital strategy agency Fred had founded in 2009. Fred lives in Brooklyn, NY since 2015. Marie-Pier Gauthier has been head of studio and production at the National Film Board of Canada’s Interactive Studio for the past seven years. She collaborates on all of the projects that come out of this exciting storytelling lab, from web documentaries to interactive installations for public spaces to virtual, augmented reality experiences to story-driven games. Graduated in digital production and in journalism, she has been interested in the creative process and the work of innovative artists at the crossroads of disciplines for more than 15 years.